Human resource management systems are very important in the contemporary era because most of the functionalities taking place within the organization are controlled and maintained by it respectively. Human resource operations are more commonly deciphered as those management skills which is required to administer and organize the working of employees within a particular enterprise. Moreover, the three pivotal objectives of this department are to assist in the recruitment of staff members, manage the compensation and other benefits regarding the employees, and craft a timesheet solution for the distribution of work among the different departments. The basic attribute of this human resource operations is to inflate the productivity and efficiency of the enterprises by keeping a close observation of the target achievement by the employees. In addition, the function of the HR management system also tends to remain constant throughout the session of various business projects. On the contrary, it was seen in the past that this department was considered as the lowest among all other compartments of an organization, however; in recent years it has gained enough popularity and proficiency that it is solely responsible to determine the success of the company respectively. 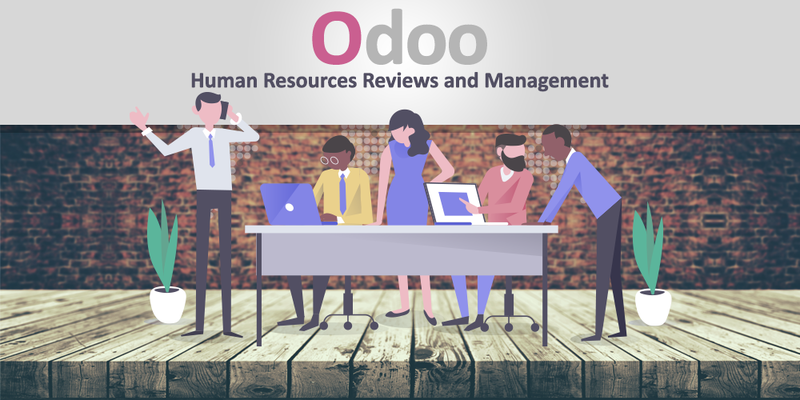 Besides, the advent of Odoo Human Resources software is as essential to the company like any other management program because it tends to feature certain qualities which are exquisite to use and operate. For instance, it seeks to methodically manage all the information of the employees of your company and observe the completion of their task in a proper systematic manner. It also has an option of assembling and receiving all the new leaves, allocations, requests and praising applications to arrange in a synchronized way respectively. Furthermore, it also tends to provide your organization with a feasible and manageable timesheet solution which can easily track down the attendance and task completion of the employee in order to create a complete report to be submitted by the end of the month to the administrations. This option helps you in aligning manpower and distribution of payroll as well as an efficient procedure. It also seeks to predict the future requirements and focus on the demands of the clients in order to provide the basic layout for the instigation and culmination of a project and add profit to the organization’s end. This proper future planning in terms of latest projects assists the enterprises to prepare themselves prior to the beginning of the new task and division of the work among the team members. In a nutshell, we can easily deduce that Odoo Human Resources software is exquisite and cost-effective. It feasibly streamlines the recruitment and new talent in order to offer the enterprise with prosperity and popularity.